Your pet can holiday with you at Candy Cottage. These are the reviews for Candy Cottage. There are 60 reviews. The owners of this property were very welcoming, they'd put a lovely welcome pack in the cottage for us, also flowers and toiletries, absolutely lovely. and the luxury bathroom was a dream. The cottage was exactly what we wanted, great facilities and extra personal touches were above and beyond. A lovely cosy cottage with luxury bathroom and inglenook fireplace with wood burner. The owners were very welcoming and provided many extras such as luxury toiletries and locally produced goodies as well as doggy treats and freshly laid eggs from their own chickens! Can highly recommend this cottage as a great base for a Dorset holiday. The local pub is less than 5 minutes walk and was very friendly and food was very good. It was a great little cottage very good location the owners David and Tracey are lovely people probably one of the best welcome packs we have had ,would certainly consider going back again in future we have always used sykes and would always recommend them. 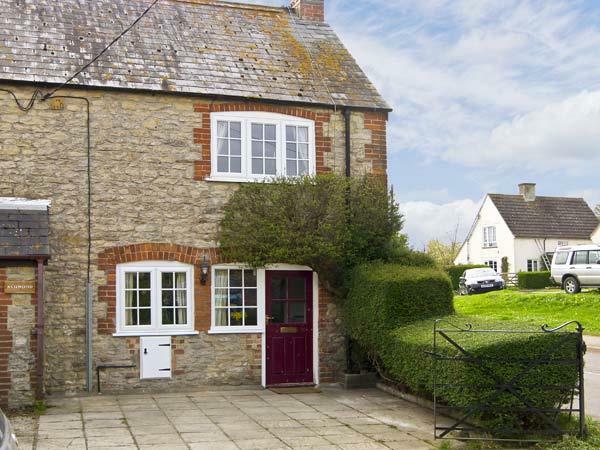 Immaculate little cottage ideal for exploring this part of West Dorset. 5 minutes walk to village centre with excellent pub that serves superb food & beer! Also a very useful little village shop & post office. The cottage owners - David & Tracy, have thought of absolutely everything to make for a comfortable relaxing break - we have never seen such a generous welcome pack: milk, eggs, wine, a full fruit bowl, teabags, coffee, biscuits, snacks, shower & bath toiletries, choice of heavy or light duvet etc etc! Everything was spotlessly clean & tidy! The cottage is quite tiny, although perfect for a couple, but something to bear in mind is that there is no garden, and the cottage fronts a busy road with no fencing or gate - so not ideal for dogs. Other than that thoroughly recommended! Only concern although pet's are welcome there is no enclosed area in which to let pet's out. Lovely cottage with lots of extras included. Owners very welcoming. Great location for walking and train within easy reach for Weymouth and Yeovil. Local dog friendly pub. Definately recommend this cottage. Very compact cosy cottage set in lovely village. clean The owners are very welcoming have thought of everything you might need. lovely welcome pack. great place for a weekend break. IT IS ON THE MAIN ROAD THROUGH THE VILLAGE. The bathroom was a dream to use, and spotlessly clean. Loved the bedroom and had more than ample space for all my things. Didn't want to leave. Close proximity to Sherborne for all the convenience of a larger town but Thornford had a great pub serving great food and a lovely village shop. There were reasonably good transport links if you didn't have a car. Good base for exploring Dorset and Somerset. There was also a brilliant welcome pack to get us going. We would recommend this cottage to anyone we know, without hesitation! A beautiful home and lovey hosts - who could ask for more. It was a joy to stay. The owners made us very welcome and there were lots of unexpected extras. So much thought has gone into this property and it shows. We felt very comfortable and relaxed. Wish we could have stayed longer! Brilliant cottage, all holiday let's should be like this. The welcome pack was a true delight. The owners have really thought of everything. A lovely cottage in a small, friendly village. The Kings Arms pub, just 5 minutes walk up the road is great too. Good centre to explore the lovely Dorset/Somerset villages and countryside. Candy Cottage is a lovely little cottage which has been nicely refurbished. The owners have gone to a lot of trouble to make holiday makers feel welcome with their little luxuries. It's situated in a quiet little village with a very nice pub in walking distance which was a bonus ! Good cottage and friendly, helpful owners. Quiet environment, local pub food is good and a very quiet and relaxing place to spend time. Our hosts had thought of everything possible that we needed. Was very impressed with all. A lovely cottage which was cosy and very welcoming. An ideal base to visit the area. The cottage was ideally situated for the area we wanted to explore, it was great to come back to a very comfy place after being out walking etc during the day. The village was really pretty. It was great to find somewhere that let us take the dog, he had a good time too. Can I also say a thank you for all the little extra touches that were in the cottage from hamper of goodies to all the pampering bits in the bathroom. A super place to stay, we enjoyed our week very much. The cottage was extremely well equipped; the kitchen had every necessity despite being tiny. There was an abundance of goodies for our use, far beyond what was expected and a truly scrumptious welcome basket. Sole guest so nice to have owners next door. Handy local shop nearby. Location well placed for visiting nearby towns. The area was beautiful and there was easy access to various other places. We loved the wood burner and the owner provided lots of added extras which were most appreciated and made us feel very welcome. As soon as we arrived it felt as if we had come home. The welcome pack and doggy treats were a lovely touch. The owners were easily accessible but unobtrusive. Top marks for luxurious bathroom products and what a bathroom!! Location is ideal for exploring the area, there are some lovely local walks, well signposted. Hop on the train to go farther afield and no parking issues. Sherborne is quaint with some lovely shops and cafés. The castle grounds and cafe are well worth a look around on a nice day. Would be nice for the front garden to have been enclosed but other than that a 5 star holiday. The place was a great base for our holiday where we relaxed in the cottage and had days out. I cannot recommend this property highly enough if you are a couple looking for a quiet break with lots of trimmings. The cottage was beautiful, the bathroom and bedroom stunning. The hosts were there if we needed them, but did not intrude on our holiday. I would recommend this property to anyone. The cottage is wonderful. There are plenty of walks nearby, and would highly recommend a visit to Sherborne, and the Castle. This is the second time we have stayed at Candy Cottage, and we enjoyed our time there. The cottage was absolutely beautiful, and ready for our arrival. Folder full of information of the surrounding areas and days out were really helpful throughout the holiday. Excellent location for exploring, and even better knowing we would going home to a luxury at the end of the day. We loved everything about this holiday, and the cottage was perfect, so romantic and cosy. We will definitely be going back again! The personal welcome was fantastic. The cottage was very clean and comfortable, with all the necessary amenities, and a perfect base from which to go out each day. All in all the perfect holiday home. There was nothing we did not like about the holiday. We cannot praise our reception or accommodation enough. A wonderful little cottage in the heart of Dorset, very clean and tidy and very friendly village, would return again and would recommend. You could not wish for more! Small but beautifully altered, bathroom superb. Bedroom and downstairs tastefully completed. Before we even got to Candy Cottage we received a lovely card giving us directions and welcoming us to our home for the week. When we arrived we were greeted by a heavenly scent, a bunch of roses, some yummy treats and fresh laid eggs. The cottage is small but not uncomfortably so and every corner has been utilised in an imaginative way. The decor and furnishings are tasteful and in keeping with the charm of the place. We recommend a visit to The Sculptures by the Lakes at Tincleton, you do need to book online and it's not the easiest place to find but absolutely breath taking. The cider farm at Dawlish Wake was excellent too. It's ideal for a quiet romantic break for two. The cottage was way above our expectations - it was finished to a very high spec. Would definitely recommend this particular cottage and hopefully we will return soon. Good location, excellent cottage and a very nice welcome from owners. There were a lot of little extras which made us feel special. 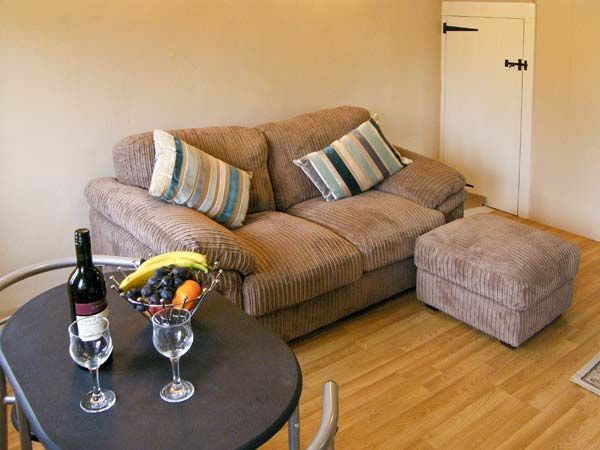 In our experience of holiday lettings, the quality of Candy Cottage is outstanding. Beautiful modern yet traditional cottage. Very cosy. The Owners were very welcoming and went out of their way to make sure we had a lovely stay. We will definitely be coming back again. We were really impressed with the cottage - 5*! A good base for sightseeing. Excellent welcome, with good explanation of the facilities in the cottage. All decor and furnishings to a good standard and very comfortable. Staircase is a little steep, as warned, but all in all a lovely little hideaway at reasonable cost, with thoughtful little extras. Handy for most of Dorset and East Somerset. Quiet and relaxing to come back to, village pub had the builders in so was a bit squeezed but food and welcome good and they said they'd had the holidayers from this cottage just about every week since the cottage was first let. The cottage was very comfortable. The owners were very welcoming, they supplied an exceptional welcome basket, plus luxurious toiletry items (bubble bath, body lotion etc.). The area was very pleasant within easy distance of tourist attractions. We enjoyed every aspect of the cottage and the owners were lovely. We received a hand written letter of welcome and information before arrival and a welcome basket. The flair and quality of the fittings are simply first class. We really were enchanted by the cottage and its owners. Cosy cottage, great size for a couple. The local pub's are highly recommended. The friendly locals made us feel very welcome. Just forty minutes for the beautiful seaside town of Lyme Regis. The little extras that the owners provided were a lovely touch. Also lovely toiletries in the bathroom. Better than a 5 star hotel! Perfect country getaway with a fabulous bathroom and log fire burner. 10/10 in every aspect, Sykes as always were efficient and helpful in arranging and sourcing our holiday, candy cottage was very comfortable, peaceful, excellent location, fantastic views, the cottage had everything we needed and more, it was very refreshing that the owners were so keen to ensure we had the best hol, which we did, lovely little touches such as luxury bubble bath and honey and owners free range eggs, plus a little treat for our dog, we had the best holiday we ever had and truly didn't want to go home, we will be back for sure. The overall condition of the property was very tastefully refurbished and the owners of the property had put a lot of thought and consideration into it. The village was peaceful and it was not too far from the town which had all the amenities you would expect for a long or short stay. This accomodation was amazing ,free eggs milk and honey on arrival ,egyptian cotton towels and M&S; bath products .Very well equipped cottage with owners on hand but not intrusive .Would recommend this for a quiet break with access to a lot of other areas close by . Lots to see and do in a beautiful part of our country, a bonus that our dog could come with us too! The cottage had the most amazing bath, and it was a lovely surprise that the owners supplied some pampering items such as luxury bubble bath, and body lotion. Lovely cottage and lovely owners who were out to make your holiday the best it could be. Excellent. I would go back tomorrow if I could. The accommodation really was fantastic. The location was good and the cottage was well presented. The owners could not do enough for us, and we were made to feel very much at home. Very friendly welcome and with the essentials waithing for you, tea, milk, biscuits, eggs and local honey. Very comfy, just right for two. Bathroom was amazing. Modern kitchen area but small. Pub nearby but unusual opening times. Local railway line if you don't want to drive everywhere. Lots of local walks. Very quiet, just what we wanted. Great place to stay. Owners very helpful and lovely people. If you're looking for other cottages around Candy Cottage, we've got some cottages below which may take your liking. There are 108 cottages within 10 miles of Candy Cottage - and they have reviews too.